We’re all set up for our next charismatic conference. We have our speaker, our music ministry, our word gift team, our healing teams, our master of ceremonies. Oh, you don’t have a job yet? You can help out with intercessory prayer for the conference. That, says Cyril John, is a widespread attitude, and it’s totally backward. Intercession isn’t an afterthought—it’s our top priority; neither that conference nor any other ministry will succeed without it. And it isn’t for leftover volunteers, either, or even for specialists. Every Christian is called to intercessory prayer. 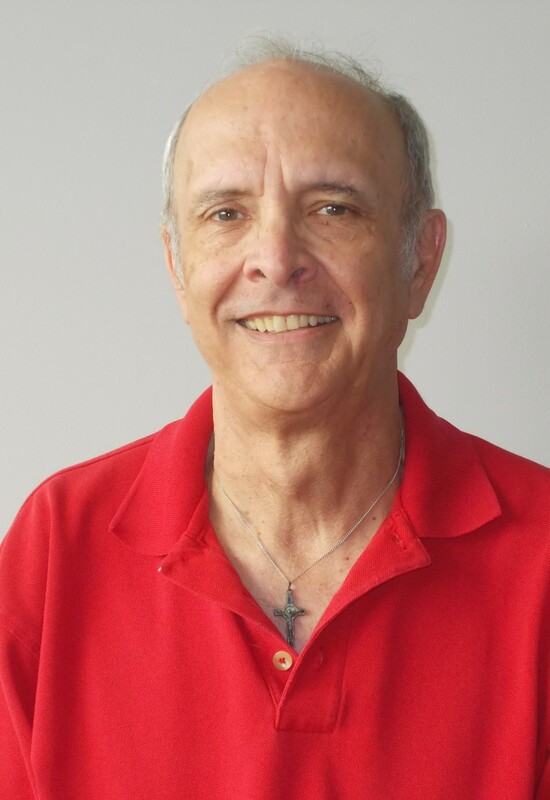 John, former vice-president of International Catholic Charismatic Renewal Services, was featured speaker Aug. 12-17 at Our Lady of Pentecost Gathering in the Spirit in Kelowna. 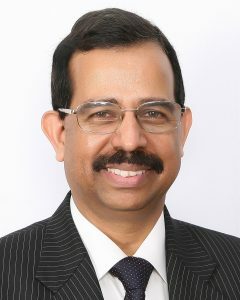 He is also a former president of the national charismatic service committee of India and author of Pray Lifting Up Holy Hands, a guide to intercession. The Gathering in the Spirit, celebrating its 10th year, drew more than 60 people from across B.C. and as far away as Ontario to St. Charles Garnier Church and St. Elizabeth Seton House of Prayer. John compared intercessory prayer to the handle of an umbrella. The spokes are other ministries—preaching, teaching, leadership, social outreach, and whatever else Christians should be doing for the sake of the kingdom of God. But all those ministries are God’s work, not ours, he said, and need God’s power and anointing to succeed. So we can no more carry them out without intercession than we can use an umbrella without a handle. Intercession holds every other ministry up. John called 1 Timothy 2:1-4 the “Magna Carta of intercession.” “First of all, then, I ask that supplications, prayers, petitions and thanksgivings be offered for everyone, for kings and all in authority, that we might live a quiet and tranquil life in all devotion and dignity. This is good and pleasing to God our saviour, who wills everyone to be saved and to come to the knowledge of the truth.” The passage says intercession is “first of all,” he noted, and if we don’t live quiet and tranquil lives, it’s because we haven’t prayed enough. More importantly, God’s desire for “everyone to be saved” hasn’t been accomplished yet, and God wants all of us to be His partners in this through intercessory prayer. John noted that the two patron saints of missionaries are St. Francis Xavier, the great Jesuit evangelist who travelled from Europe to the East Indies and Japan, and St. Thérèse of Lisieux, who died at age 24 without ever leaving her convent in France—but who spent her time praying for the missions. Another great intercessor, he said, was St. John Vianney, the Curé of Ars, who was extremely poorly qualified for the priesthood and almost missed out on ordination. He was finally ordained, with some reluctance from church authorities, because he was known to be extremely prayerful; and his first pastorate was a parish that had been shut down. But his piety drew flocks of people, and Satan accused him in a vision of rescuing 80,000 souls from his clutches. Intercessors, John said, are channels of grace, and to be usable vessels, we must be clean and holy. A little farther on, verse 8 of 1 Timothy 2 says “It is my wish, then, that in every place the men should pray, lifting up holy hands.” We must be people of love, for the Lord and for other people, and must avoid sin, for “the face of the LORD is against those who do evil” (Psalm 34:16). John devoted two of his eight talks to listing 12 rules of intercession, a rearrangement of material compressed into 10 rules in Pray Lifting Up Holy Hands. He said that these rules are not to be taken as absolute, like the 10 Commandments, but that they do apply in most cases. Pray in the power of the Holy Spirit. The Spirit is the principal agent of intercession, and only the Spirit fully understands the situation we are praying about. Pray according to God’s will. 1 John 5:14 promises God will give us anything we ask in His will; praying outside His will doesn’t work. Pray with vision. Jesus says to the disciples in Gethsemane (Matthew 26:41) “watch and pray.” We need to be aware of what is going on around us, in the world and in the news. Pray with faith. That may sound obvious, but in practice we usually pray without faith. It is the faith of the intercessors that matters, rather than the faith of the person prayed for. Pray with love. Intercession is an act of love for which we should be willing to make sacrifices, such as leisure time. St. Teresa of Ávila said people of much love pray much. Pray with compassion. We should actually feel the distress or need of those for whom we pray. Pray identifying with the people prayed for. This is a step further than rule 6—actually living our prayer, making ourselves part of the need, as Moses did for the sinful Israelites and St. Paul did for both Jews and Gentiles he was trying to convert. Pray with unity—“with one accord” like the early Church (Acts 1:14, 4:24). The devil loves to create division, and prayers are ineffective when not united. Pray with spiritual burden. John compared the sense of commitment and urgency to exam time at university, or to pregnancy. We must be ready to pray for years if that is what the burden requires. Pursue all three dimensions of intercession: vocal prayer; offerings (Mass attendance, fasting and abstinence, personal suffering); and prayer actions, like going to sites like accident-prone intersections or suicide-plagued neighbourhoods to pray. John also devoted one talk and three workshop sessions to prophetic intercession—intercessory prayer guided by God, through the use of prophetic gifts, rather than by ourselves. For the exercise, the congregation broke up into groups. First, they were to take a few minutes to empty themselves of preconceptions and open themselves to the Lord; then seek God’s plan, praying briefly in tongues, listening in silence, and sharing individual words from God with the group, which prayed and settled on one intention. They would then ask God for a prayer strategy—for example, praying the Divine Mercy chaplet; then, carry out the prayer; listen to God for further prophetic words; and finally give thanks. The groups prayed for a variety of intentions; one group felt led to pray for an orphanage in Cambodia, facing an unspecified threat. After the prayer, the group received a prophetic word that the threat was dispelled. John also said intercessory prayer is a form of spiritual warfare, and so we need to wear the “armour of God” listed in Ephesians 5:10-17. He said St. Paul’s list is powerful but not intended to be exhaustive, and we should use other available pieces of armour and spiritual weapons, such as praise, trust in God’s faithfulness, and Catholic prayers such as the Our Father, Hail Mary, rosary, Divine Mercy chaplet, creed, and prayer to St. Michael. He said in any major spiritual battle, spiritual warfare should be a group activity—we should not go it alone. Finally, he said intercession should be a way of life—“the blood that flows through your veins”—and we should offer everything in our lives except our sins as intercession. This especially includes offering our sufferings for the salvation of souls. He said everyone, even the happiest and most blessed people, have some suffering they can offer. Those more seriously afflicted should pray for healing, but in the meantime offer up the suffering. “Suffering is the greatest source of untapped spiritual energy,” he said. On Jan. 19, the Living in the Spirit Prayer Group in Summerland hosted an evening of adoration, benediction and praise and worship. Roy McIntyre, prayer group leader, played guitar and led the singing. Fr. Ben Buelo, pastor of Holy Child Church, giving a talk on the Eucharist, said that as a young child, he so loved the sacrament that he was inspired to imitate the priest in saying the Mass to his playmates, using bread from his mother’s kitchen as the host. Sometimes what’s missing from people’s efforts to teach us about the Eucharist, the Body and Blood of Jesus, is the dimension of God’s great love for us. It was love for this sacrament that led Father Ben to pursue the priesthood. The Eucharist makes Jesus present to us and makes us present to Jesus. God shows his great love for us through the atoning sacrifice of his son, Jesus. After his talk, Father Ben was available to hear confessions; prayer teams were also available for those desiring prayers for healing. Participants came from Penticton, West Kelowna, Kelowna and Summerland; they were enriched by attending. Thank you Father Ben and Living in the Spirit Prayer Group for making this evening possible. Monsignor Peter Coughlin, one of the best-known figures in the Catholic Charismatic Renewal in Canada, died Aug. 25 in Burlington, Ont. He was 76. Msgr. Coughlin was long-time chair of Catholic Charismatic Renewal Services of Canada and founder and editor-in-chief of The Bread of Life magazine. He was named monsignor and papal chaplain by Pope Francis in December 2017. He had retired from parish ministry and from the chairmanship of the national committee in 2014 due to ill health, but remained as editor-in-chief of The Bread of Life and as adviser to the committee, and served as resident chaplain for the Sisters of St. Joseph at their motherhouse in Dundas, Ont. On the afternoon of Aug. 25, he suffered a heart attack on the way home from his three-times-a-week dialysis. He died in Joseph Brant Hospital shortly after 11 p.m.
Born Oct. 11, 1941, in Hamilton, Ont., Msgr. 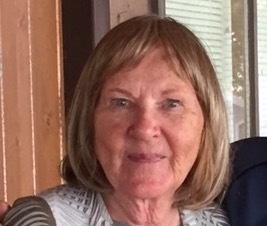 Coughlin was the oldest of five children. His father died when he was a child, and he kept busy with family responsibilities and as an altar boy. He was June 3, 1967, in the Cathedral Basilica of Christ the King in Hamilton, and over the half-century of his priesthood served nine parishes in the Hamilton diocese, most recently St. Andrew’s in Oakville. He also served as a missionary in Mexico and at Our Lady of Perpetual Help in Ottawa. He was baptized in the Holy Spirit at a prayer meeting in 1971, and began healing ministry in 1972 on a visit to Peru, when a travelling companion injured his knee badly and asked him to pray over it. “The knee started moving under my hand,” he said later. Father Coughlin was doubtful at first, but his companion “took off the bandage and danced the rest of the night,” and the two spent the next three weeks praying for people in Peru, with many healings. He continued the healing ministry in Canada. Msgr. Coughlin was a well-travelled charismatic speaker in Canada and internationally. He conducted a series of healing Masses in B.C. communities in 1997, and was speaker at the annual Vancouver conference in 2004; he often taught those attending how to pray for healing and exercise word gifts. He awrote or edited a variety of books on the charismatic renewal, including Understanding the Charismatic Gifts and He’s Alive!, all through The Bread of Life. He earned a master’s degree in Christian spirituality at Creighton University in Nebraska in 1999, and a doctorate of ministry from the Graduate Theological Foundation in Iowa in 2003. His health had declined in recent years, due to muscular dystrophy and heart and kidney problems. 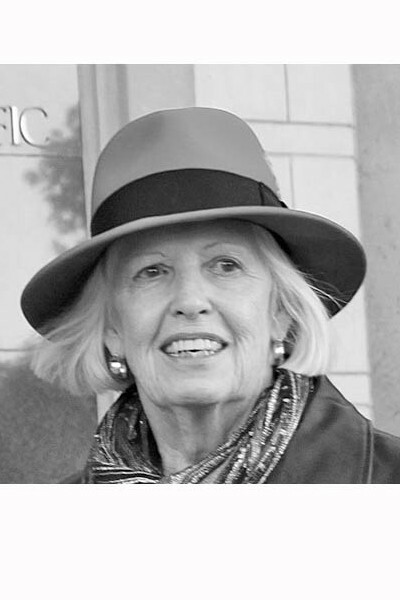 Marlene Sarich, 80, former chair of Catholic Charismatic Renewal Services of BC and founder of BC Charismatic newsletter, died April 29 in Victoria. Born Jan. 19, 1938 in Prince Rupert and raised in Terrace, Sarich said in her testimony in He’s Alive! (2000) that she grew up in a non-churchgoing family but had a sense of God’s presence as a young child, and checked out several denominations as an adolescent. She was baptized into the United Church at age 14. Soon after she decided to go away to high school, and chose St. Ann’s Academy in Victoria for reasons of cost. 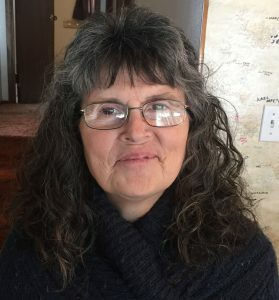 She attended her own church on Sundays but was attracted by the Eucharist at the twice-weekly weekday Masses students at the academy were required to attend. She entered the Catholic Church in 1959, the same year she married her non-Catholic husband, John, a logging contractor. Active in her parish from the beginning, she was baptized in the Holy Spirit at a prayer meeting during a visit to Vancouver in 1975. She was on the founding leadership team at Abba Prayer Group in Terrace and gave a talk at the first meeting. Later she was named Prince George West diocesan representative to Catholic Charismatic Renewal Services of BC, then chair. Under her chairmanship the committee expanded its meetings, drew up a constitution, and started the newsletter, with herself as editor. She also served as secretary of Catholic Charismatic Renewal Services of Canada, the national service committee. What is the difference between petition and intercession? What should be our priority? Petition is most often myself telling God what I want Him to do for me. In intercession, we are led and directed by the Holy Spirit on what to pray for and how to pray. I feel our priority should be on intercession. Intercession is a gift of the Holy Spirit, praying in tongues, prophecy, words of wisdom, praying with lover for our fellow men and women. Led by the Holy Spirit, we will know and do God’s will on earth. Intercession is praying for others. However, we ourselves and our near and dear ones have a lot of prayer needs. What would happen to those needs if we continue to focus on praying for others? What a question! We have our hope, our faith, the perfect love of our glorious God, His mercy for us. God knows our every need, knows our heart’s desires, our love for ourselves and those near and dear to us. With faith, trust and love of God, our needs will all be looked after. We must have love for our brothers and sisters in the world. Our God will never abandon us. He promised to be with us from generation to generation. Thank you Father! Scripture teaches us to “pray without ceasing.” How practical is this exhortation? How can we develop the habit of praying without ceasing? Let us remember, let us not forget, Scripture is God’s holy word. It is up to us, our Christian duty, to make it practical! Hearing, reading God’s word is the beginning. To understand, we need to listen, to meditate. Praying without ceasing is a lifestyle. Prayer is communication with God. Living a Christian life is prayer. Singing is, I am told, double prayer. Praise God always, for a beautiful day, a field of daisies, a child. Praise God for the gift of life. All these are praying. We can begin our day with a prayer. Ask the Holy Spirit to come to our aid, to show us how to pray. Pray in tongues. Love the people we are praying for. In the evening, take a walk with Jesus. He loves to walk by the water. Speak to Him about your day, your concerns, your joys, your sufferings. Thank Him for His great love. Hear Him speak to you. Listen. Communicate with patience. God loves us. What more could we ask? Too many Christians take God’s love for granted and look for something else to go with it, says Father Dave Pivonka. They don’t understand that His overwhelming love covers everything. 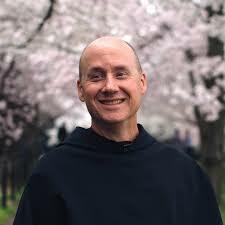 Father Pivonka, a Third Order Regular Franciscan based in Pittsburgh, is a writer, speaker, and pilgrimage leader who is also the author of the Wild Goose video series on the work of the Holy Spirit. The conference, titled United in Your Love, was held April 27-28 at Our Lady of Lourdes Church in West Kelowna. In his first of three talks, Father Pivonka combined the parable of the prodigal son (Luke 15) with a harrowing story from his own life, when he was accidentally separated from a young nephew on the New York City subway; only after many terrifying wrong turns did he find the boy safe. But God is always searching for us with just that much commitment and concern, he said. For Christians, God is our Father, even our “Daddy” (the meaning of the biblical word “Abba”), a concept you won’t find in Islam, among other faiths. And He isn’t a casual father. There’s a reason why Paul writes in Romans 8:15 that we have received a spirit, not of sonship or daughtership, but of adoption. In the Roman Empire in New Testament times, any father could abandon any birth child at his whim, for any reason or no reason, but if he adopted a child, at any age, the relationship was forever; all debts the child owed were cancelled and the adoptee became a new person. Our relationship with God is always personal. That’s a serious matter, because it means sin, too, is always personal. “It’s not like breaking a law,” Father Pivonka said. “I’ve broken the heart of God.” But there, too, God’s love triumphs. When the world convicts us of sin, that brings discouragement, but when Jesus convicts us of sin, it brings us joy. In his second talk, Father Pivonka said the process of conversion is never complete. We must constantly be turning to God from wherever we are now. He read the account from Mark 10 of the rich man who asks Jesus what he must do to inherit eternal life. The man says he has kept all the commandments since he was young, but walks away sadly when Jesus tells him he must sell all he has and give it to the poor. He said the man missed the point. He hadn’t broken any of the commandments, but “in heaven, Jesus won’t ask us what we didn’t do. Heaven is full of sinners.” Rather, the question is what he needs to be freed from that is keeping him out of heaven. We need the Holy Spirit to reveal the answer to us, and we also need the Spirit to give us strength to carry the cross Jesus gives us. “The evil one has convinced us to believe there’s not supposed to be a cross,” Father Pivonka said. But the cross is the key: Jesus is revealed as the Son of God not at the resurrection, but on the cross, where He offers Himself for us, and where He forgives us just as He forgave the people who crucified Him. He also said God wants to free us from false pictures of who He, God, is, and what He is like. Father Pivonka said too many people picture God as almost interchangeable with Santa Claus, in both a pleasant and an unpleasant way. He gives us presents, but He’s also watching over us, making a list and checking it twice. If we’re good we get presents from Santa and God lets us go to heaven; if we’re bad, we get coal from Santa, and “we become coal.” For other people, God is simply a judge, waiting for our mistakes and giving us the punishment we deserve. For yet others, He is an ATM and is expected to give us exactly what we want when we ask for it. When he was baptized in the Spirit, Father Pivonka said, he heard God say “that’s not the kind of God I am.” What kind of God is He? He’s “a Jesus-shaped God,” who wants to reach out to us and forgive us. He said not everybody needs to take part in the charismatic renewal, but everybody needs to receive the Holy Spirit. It’s the fruits of the Spirit that allow our faith to be seen, allows people to recognize that we’re different, and want to find out more about what Jesus has done for us. Yes, Canadians can fast. Let’s do it! Bishop Gregory Bittman of the Nelson diocese has asked by letter that the people of the diocese fast and pray as requested by Pope Francis. This is to be an offering, a sacrifice, that the scourge of abuse be eradicated from the Church and that no child or vulnerable person will ever again be harmed. This letter by Bishop Gregory has motivated me to offer some thoughts on fasting. Cyril John stated at the Our Lady of Pentecost Gathering in the Spirit in Kelowna this August that he was told, “Canadians don’t fast.” Is this really true? Canadians, as well as most other people on earth, can fast. The exception would be for health reasons, such as diabetes. Nevertheless, because of the abundance of material goods and food in this country, Canadians are comfortable in their wealth and reluctant and fearful to fast. There are many ways we can fast, from Facebook, computers, video games, TV shows and the like, and these are suitable offerings to God. However, in many of these types of fasting, it is easy to end up substituting another diversion or distraction. When I was a child I remember attempting to give up candy for Lent. Within the first few days of Lent I was confronted for chewing bubble gum. I said, “I gave up candy, not bubble gum”. We can see that giving up something can easily have a substitute take over. But I would still say any effort to renounce the habits that delight us is a valid offering to God. Jesus said, “When the Bridegroom is taken away, then they (His followers) will fast.” When He said this, He was talking about reducing the intake or giving up food for a time. When you don’t eat, or reduce the intake of food, the experience is with you the whole time of the fast. This, by its very nature, cannot be substituted with something else. Fasting also gives us the opportunity to join in solidarity with a great portion of our sisters and brothers in the world who go to bed hungry. If a person is forcibly deprived of food, that person can live for a very long time; weeks or months. Without water, on the other hand, one will only last a matter of days. To fast voluntarily takes some personal effort. I would say it takes faith and a sense this is the right thing to do. By faith, I mean that when we embark on a fast we must not waver. We should never say, “I will try it.” This approach is almost certain to fail. But fasting must also be the right thing to do. For instance, I knew a group of Christians who were once gathering communally for Thanksgiving dinner. One of the newly converted members decided that, as an offering for the gift of his salvation, he would fast on Thanksgiving Day. As you might imagine, this was not a good idea, and led to a failed attempt followed by guilt. So, fasting needs to be the right thing to do. Finally, the person who is about to fast must decide what the fast will be and act and believe that it is already done – thinking, for instance, I will be having coffee tomorrow morning, signifying the end of the fast. I know a person who has had a long history of fasting. His first fast, one done when he was a young adult without guidance, was from food and water from Wednesday in Holy Week to after the Easter Vigil Saturday evening. Needless to say, this was a dangerous fast, not drinking water for that length of time. He recalls having blurry vision at the Easter Vigil. Nevertheless, he survived and did a number of fasts that always after that included water, but none longer than five days. Since he had a full-time job, he sometimes drank coffee on his fast day. However, he eventually gravitated to what he called the Medjugorje Fast, that is, bread and water Wednesday and Friday. The Medjugorje fast was popularized in Canada by Father Bob Bedard, the founder of Companions of the Cross, in the 1980s. He shared many stories, some of them quite humorous, of peoples’ experience of attempting to fast. He cited one nun who complained that she was so weak she had to crawl to the bathroom. In most cases, when we fast we will have low sugar in our blood stream. This makes us feel tired and lack motivation to do anything, and is often accompanied by a mild headache. However, if we force ourselves to be busy we will find that we can overcome the internal reluctance and be able to keep going throughout the time of our fast. For older folks, like myself, a nap can help. The man cited above began to follow the Medjugorje fast around the year 2000. For a time, he even found himself guided to fast Mondays as well. His fasting was four slices of bread and water for each of his meals, breakfast, lunch and dinner. This turned out to be a fast that avoided some of the side effects of a black fast, that is, fasting without any food. Black fast can lead to nausea and vomiting, but bread and water fasts, although offering a true sense of fasting where you go to be hungry, keep the bodily systems functioning well. One final issue with regular fasting: it can cause social conflicts. In the home, other family member will complain that the person’s fasting is affecting the rest of the family negatively, e.g. “When you are fasting, I don’t know what to eat”. Secondly, the same is true for social gatherings: people can be annoyed that someone is not joining in, partaking of the same food, drinks, and treats as the others. And one last thing; you will need to be careful not to overeat the day following the fast. All that being said, I encourage you to do a bread and water fast. Make it a regular practice. In this way you will be offering something to God that can go a long way in obtaining from God the grace of healing and protection within the Church. And that the Church may be a shining witness to Jesus so that our neighbours will give thanks to our Father who is in heaven. This is a wonderful image for a lifelong enthusiast of camping and hiking in the outback, and one I could readily relate to on many levels. In the past this word had been a prelude to a new job, a move to a new place, or a new ministry which He wanted me to undertake. In every situation I had to lay down my ideas and my opinions of how it should be, and open myself up to new people, new challenges, a real change in my life. Little did I suspect this spring, when I received this word again, that it would mean sharing my personal space with some of God’s little ones. My son gave me a big, beautiful hanging basket for Mother’s Day and I proudly hung it up on my patio right beside the back entrance to the apartment building. As people walked up the stairs to open the door, they often stopped to gaze at this wonderful combination of summer flowers and comment about their beauty. I took great pleasure in sharing my gift with everyone. Not long after it was hung, a pair of juncos decided the hanging basket was the perfect spot for their new home and proceeded to nest and lay five tiny grey speckled eggs. This caused no end of trauma for me. I loved that display and wanted to care for it to keep it flourishing, but every time I tried to water, the mother bird would fly out in great distress, sit on the fence and give me a piece of her mind regarding the disturbance I was causing her and her nesting procedures. I began to speak quietly to her to assure her that I didn’t want to harm her babies, and that watering was necessary to maintain the foliage that made it such a perfect place to nest. She slowly began to trust me and as I watered, she would watch vigilantly from the fence top, but with much less agitation. Four new little creatures were hatched and I was present to witness the last one fledge, being watched and encouraged by very excited parents. This whole month-long procedure took its toll on my beautiful hanging basket, and I moaned and groaned over the loss of flowers. However, I began to look at it differently when my family all agreed that it was an honour to have the juncos choose my patio to nest, and the flower-giving son confirmed it by saying, “Choose the birds over the flowers”. What has God been teaching me through all of this? All creatures are precious to Him. Hospitality is to be extended to them too. Watering is necessary to maintain health and growth. We may object, splutter, make a lot of fuss as the water disturbs us, but it’s for our own good. Trust is built over a period of time. He speaks to me assuring me of His love and care. I witness that love and care and my trust grows. I grew, enlarged my tent to be more inclusive, accepted the birds, and they flew off without even a look backward. How often do I treat God in the same manner? Do I take for granted my Lord’s care for me, forgetting to give thanks? “My plans are not your plans”. Isaiah 55:8. I plan to beautify my patio. God plans to beautify the patio, provide shelter and home to not only one but two new families of juncos, for on the day the first family left, another pair of juncos moved in and four new babies were fledged. Eight new little creatures and a hanging basket that has survived the summer. His plans are always so much better than mine. Expect the unexpected. Look with eyes of faith. Be open to new opportunities for God to show His love and concern. A biography of the late Father Rick Thomas SJ, a widely-travelled charismatic conference speaker and founder of a Holy Spirit-based ministry to the poor of El Paso, Texas, and Ciudad Juárez, Mexico, is now available via Amazon.ca. The book, titled A Poor Priest for the Poor, was written by Richard Dunstan, editor of BC Charismatic newsletter and a member of Catholic Charismatic Renewal Services of BC, at the request of Father Thomas’s successors in El Paso. Father Thomas (1928-2006) was named head of Our Lady’s Youth Center, a wide-ranging social agency in the slums of El Paso, in 1964. 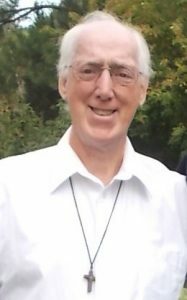 Looking for a way to bring both spiritual and material help to clients, he received baptism in the Holy Spirit in 1969 and immediately began to incorporate the charismatic renewal into all OLYC ministries, which eventually included food banks, medical clinics, prison ministry, Operation Rescue abortion blockades, a shortwave radio station, and the Lord’s Ranch. He is probably best known for a miraculous multiplication of food when he and his friends shared Christmas dinner with the ragpickers who lived at the Juárez municipal dump in 1972; several arrests and short jail terms for abortion protests; and his extreme embrace of personal poverty. Dunstan first met Father Thomas in El Paso in 1989 and visited the OLYC ministries many times, both before and after Father Thomas’s death. He is also the author of The Bible on the Border (2009), a work on OLYC’s spiritual principles written in co-operation with Father Thomas; and Fire in the North (2007), a history of the Catholic charismatic renewal in Canada, published by the Bread of Life. 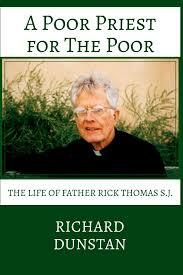 A Poor Priest for the Poor is available as a print or Kindle edition through Amazon.ca. It is published by the Lord’s Ranch Press. The BC provincial charismatic service committee has issued an appeal for donations. The committee is facing unpaid bills and also has outstanding loans from one of its partner service committees. The committee’s mandate is to promote what Pope Francis has called “a current of grace for the whole Church.” “I expect you to share with everyone in the Church the grace of the baptism of the Holy Spirit,” the Pope told 50,000 charismatics from around the world at the renewal’s Golden Jubilee celebration in Rome last year. “In coming years we ask you to be involved in your parishes and Christian communities, and even to increase this involvement if possible,” the Canadian Conference of Catholic Bishops added in a jubilee greeting to the renewal. The provincial committee publishes the twice-yearly BC Charismatic newsletter, co-sponsors a provincial conference with the Vancouver archdiocesan committee every three years, and provides ongoing communication among the charismatic groups of B.C.’s five dioceses, as well as with charismatics across Canada. Donations to CCRS of BC are tax deductible. Catholic Charismatic Renewal Services of B.C.